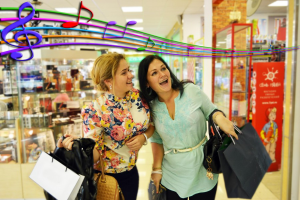 Evaluations have found stores that played background music had happy shoppers who stayed 18% longer and made 17% more purchases compared to those that don’t have music. That’s because the right music creates the right mood for your customers and clients whether you have a retail store, a medical or dental centre, a hotel or pub, a restaurant or café. But gone are the days of staff juggling C.D’s, or playing the radio where continuous talk and your competitors commercials interrupt the music flow or even running one of the current streaming services which give you no control over the music. The solution is here for you. And no, it doesn’t cost much. You’ll be surprised.